When we talk about rideshare accidents, we usually discuss the options for Uber and Lyft users to recover compensation for injuries and other damages from the rideshare company's insurance or the driver's insurance. But, what options do Lyft or Uber drivers have after an auto accident? Our rideshare accident attorneys understand the confusing nature of these cases because you, the driver, are not considered an employee of Uber or Lyft but an independent contractor. Now, both of these rideshare companies carry a $1 million policy for auto accident injuries and property damage, but there are limits to this coverage and where and when they apply. Who Covers You in an Auto Accident When the App is Off? This answer is straightforward—Your personal auto insurance policy is responsible for covering all injuries and property damage from a collision that happens when you're logged out of the app and not driving a passenger. Who Covers You in a Car Accident When the App is On & Waiting? This is where rideshare insurance coverage gets tricky. Your personal insurance provider won't cover damages from the crash without rideshare coverage on top of it. 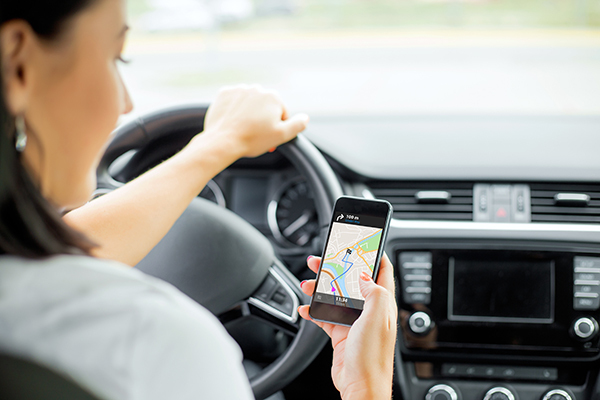 It's often recommended that drivers purchase additional auto insurance for rideshare or delivery services to cover the gaps between personal and rideshare policies. It's crucial you tell the insurance provider who offers your personal policy that you're driving for Lyft, Uber, or another rideshare or delivery service. They may terminate your plan and deny valid claims if they find out following the auto accident. Unlike Lyft who provides no coverage, Uber provides additional liability coverage up to $50,000 per injured person with a max of $100,000. Uber's insurance policy also covers a maximum of $25,000 for property damage in these cases. However, this only applies if the driver's insurance doesn't include all the losses and only if the driver requests this coverage. Who Covers You In an Auto Accident When a Ride is Accepted And/Or You Have a Passenger? This is when the $1 million rideshare accident policy with Uber or Lyft comes into play. You’re fully covered in these circumstances for medical expenses and other costs up to one million. Uber's policy also applies if an uninsured or underinsured driver hits you, but Lyft's policy varies from state to state. Our Uber accident lawyers understand the frustration these loopholes cause in an already trying time with mounting medical bills and the loss of income without a vehicle. These rideshare companies are just that, companies. They may deny your claim despite the circumstances. Our Lyft accident lawyers have handled many of these rideshare accident claims and can make sure you get the compensation you're owed. If you or a loved one drives for a rideshare or delivery service and has been in an accident, please contact The Hickey Law Firm in Miami today at (855) 375-3727 for a FREE consultation. We serve clients in nearby areas of Florida and nationwide.